Nursing is a high-demand program at Gateway Technical College. Please be aware that in-district students have first priority and that there is a petitioning process to obtain a seat for program classes and clinical placements. See your program advisor for further details. There is a growing need for healthcare services and you can make a difference by preparing for a career that changes lives and helps others in need. Registered nurses (RNs) record patients' medical histories and symptoms as well as help perform diagnostic tests and analyze results. They also operate medical machinery, administer treatment and medications, and help with patient follow-up and rehabilitation. Some nurses may work to promote general health by educating the public on warning signs and symptoms of a disease. RNs may also run general health screenings or immunization clinics, blood drives and public seminars on various conditions. Gateway Technical College’s Nursing associate degree program is accredited by the Accrediting Commission for Education in Nursing and includes classroom instruction and supervised clinical experiences in local hospitals and other healthcare facilities. The degree program is offered at the Kenosha and Burlington Campuses but students can also take classes online. Courses include anatomy, physiology, microbiology, chemistry, nutrition, psychology and other behavioral sciences. Nursing students begin their clinical practicum in the first semester in the program and continue until the last semester. Supervised clinical experiences are provided in hospital departments such as pediatrics, psychiatry, maternity, and surgery, but can also occur in nursing care facilities, public health departments, home health agencies, and ambulatory clinics. Students also receive hands-on training using the Human Patient Simulator which helps students practice technical skills by simulating real-life emergencies in a controlled lab setting. The simulators look and act like an actual real-life patient providing students with the opportunity to demonstrate their knowledge, technical ability, and critical thinking skills. Community health fairs and other service learning efforts help the student gain further real-world experience and put the skills students have learned in the classroom into practice. Students must submit an application and pay $30 fee. Students must complete reading, writing, and math skills placement assessments. Students must submit official high school, GED, or HSED transcript including a graduation or passing date. Students must complete a Background Disclosure form and must request and pay for a background check. Applicants for all health science programs are subject to a review of their criminal backgrounds. Positive background checks may negatively impact your ability to pursue a health career at Gateway Technical College. Each case will be individually evaluated on all available evidence provided to the college. Students must complete a functional ability form verifying they have read and understood the functional abilities for the program. Minimum 65 credits with an average of 2.0 or above. *Average of 2.0 (“C”) or above for these major courses. § Must be completed to be eligible to take the NCLEX-PN exam. Gateway credits may transfer to colleges and universities offering adv. nurse ed. programs. For a complete list of Graduation Requirements, check the Student Handbook. 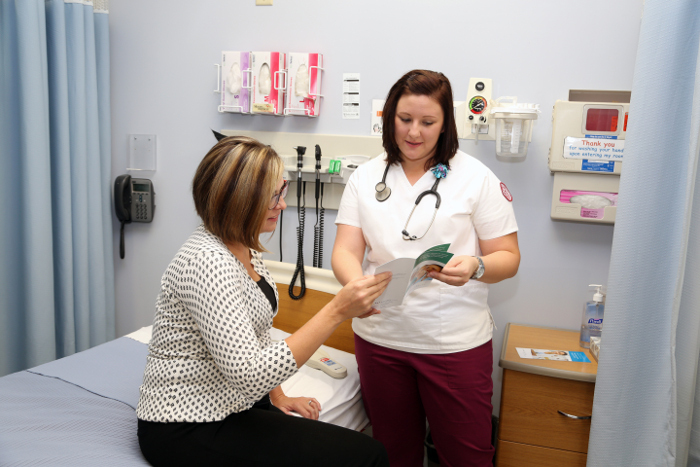 Gateway graduates can find nursing careers in a wide variety of places. These include hospitals, schools, home health settings, clinics, cancer centers, hospice, nursing homes, and correctional facilities. Job responsibilities can include patient care, patient education, explaining post-treatment home care needs, diet, nutrition, and exercise programs, self-administration of medication and physical therapy. Gateway Technical College’s Nursing program prepares students for the National Council Licensure Examination (NCLEX). This exam is used by the National Board of Nursing to test entry-level candidates on their competency of nursing skills and practices for licensure as registered nurses. Gateway students hold some of the highest pass rates in the state of Wisconsin. 40% of graduates completed the program within six semesters from the point of starting core nursing courses. The majority of nursing students attend courses on a part-time basis for either part of or throughout their entire nursing education. 98% of the graduates stated that they were satisfied with the nursing program. 94% of the graduates stated that they were satisfied with their nursing instructors. 88% of the graduates passed the NCLEX-RN licensure exam on the first try. 95% passed the NCLEX-PN exam on the first try. 98.8% of program graduates were employed in the field. According to the Bureau of Labor Statistics, registered nurses constitute the largest national healthcare occupation, with 2.6 million jobs. The nursing industry is expected to grow 26 percent through 2020. Advances in technology are treating a greater number of health problems causing a greater need for nurses. The median annual salary of registered nurses was $67,490 in 2015. Salary is dependent on the area of employment, qualifications of the nurse and area of specialty. Tuition Rates Residents: $134.20 per credit. Out-of-state Residents: $67.10 tuition per credit; total tuition $201.30 per credit. Additional fees may apply.